Description: .600" Lift Drop In - No Machining Required. Fits with Stock Retainers. 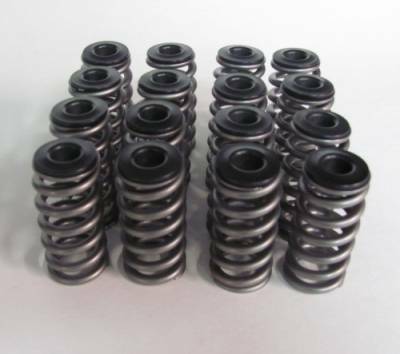 Used on our Ported Heads. Recommended for High Lift / High RPM. 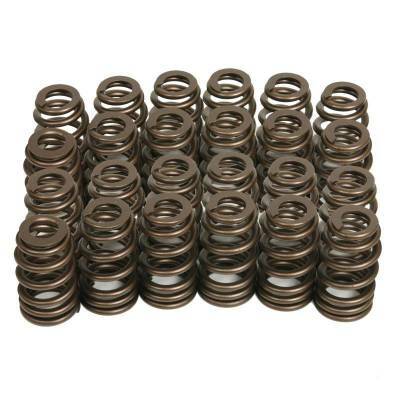 Description: .550" Lift Drop in Replacement - No Machining Required. Fits Stock Retainers, Seats. Same Used on our Ported Heads. Recommended for High RPM NA / Boost Applications. 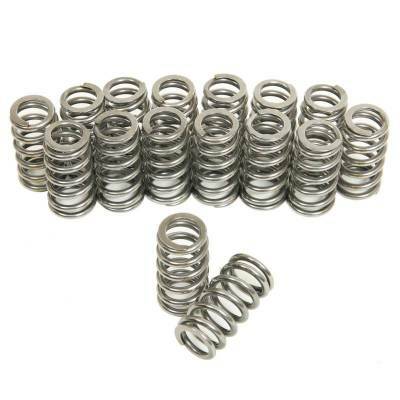 Description: .575" Lift Performance Beehive Race Valve Springs - No Machining Required. Uses Small Light Weight Tool Steel Retainers. 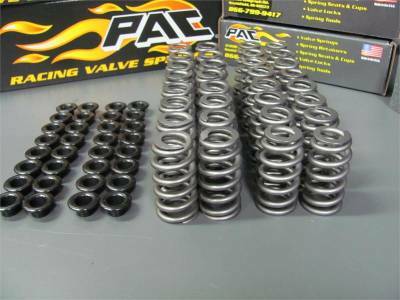 Same Used in 10,000 RPM NMRA Engines. 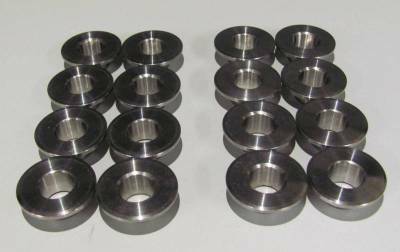 Description: .550" Lift Drop in - No Machining Required. Fits Stock Retainers and Seats. Suggested when using VCT. 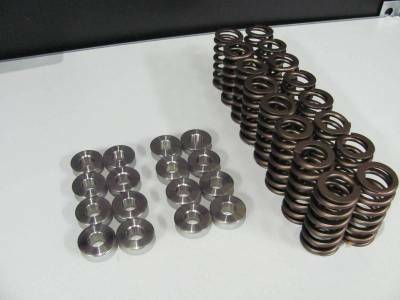 Description: .550" Lift Drop in - No Machining Required. Fits Stock Retainers and Seats. Same Used in Our Ported Heads. Description: .500" Lift Drop in - No Machining Required. Fits Stock Retainers and Seats. 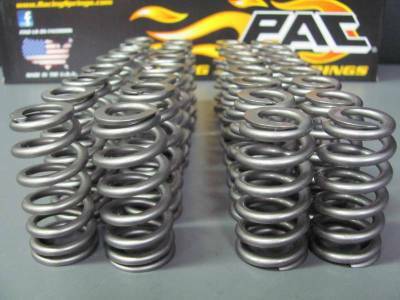 Description: Best Available Springs for the Ford GT / Shelby GT500 Heads. 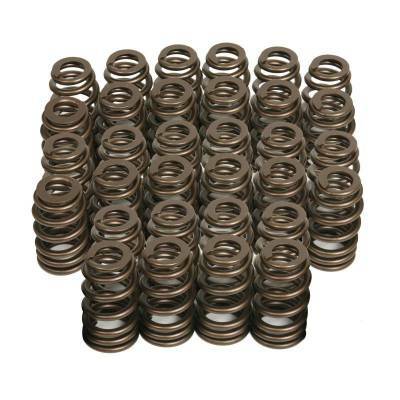 Correct Installed Heights with Identical Seat Pressures, Open Pressures and Spring Rates. 100% Drop In. Fits Stock Retainers. 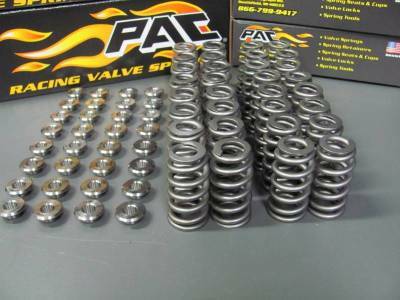 Description: Performance Titanium Valve Spring Retainers. Lightest Weight Possible!